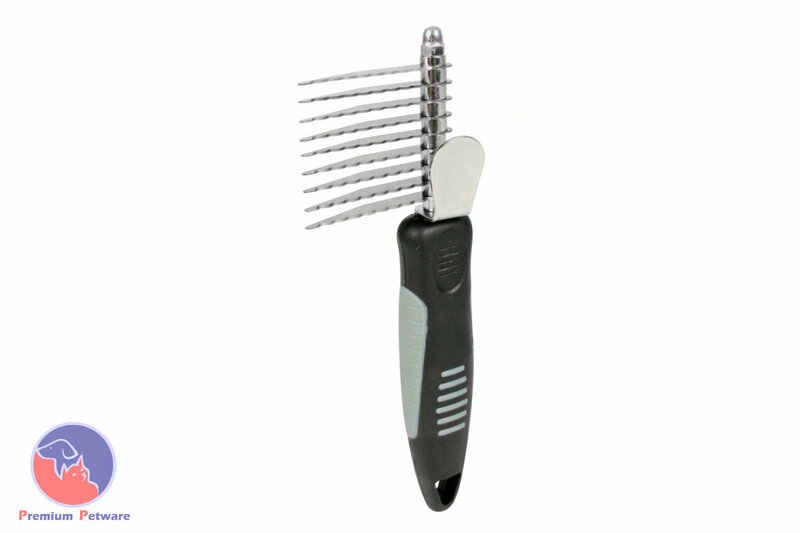 Nine 5cm long serrated comb fingers cut through matted fur. Designed for dogs with curly, long or shaggy hair. Also suitable for long haired cats.